A High tech laboratory for precise colours adjustments. Performing, up-to-date, and diversified dyeing machines. A great reactivity and machine capacities dedicated for small dyeing quantities. We can achieve lab studies and provide you with spectro reports which will allow you to improve your fashion colours adjustments. We possess a wide range of machines which allow us to dye various sizes of batches. A professional team dedicated to your service. 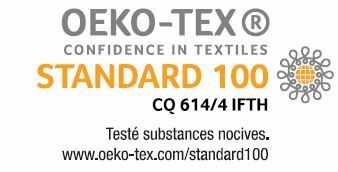 Our dyeing plant is Oeko-Tex® Standard 100 certified. ODEA is a 20-years experienced company for dyeing processes for lingerie and garment industries. so that we can study together how we can work out your projects.